The Tony Awards are just days away, but until then, we’ll all have to wait for it (wait for it). 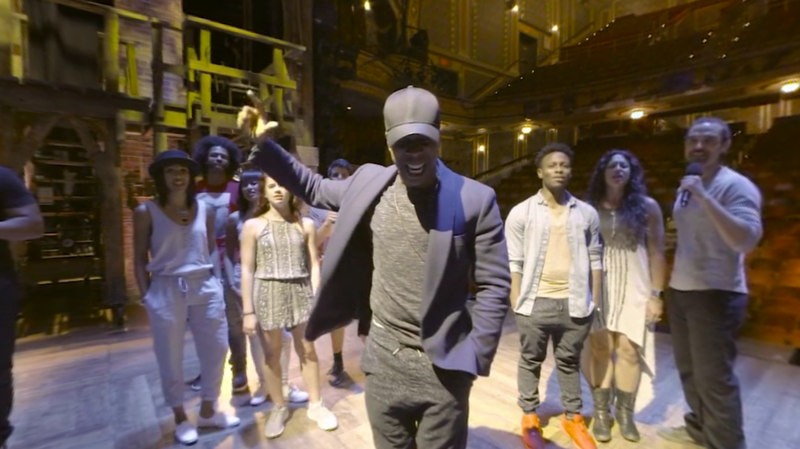 Fortunately, you can wait for it (wait for it) while watching this 360-degree video from CBS of the cast of Hamilton singing “Wait For It” (wait for it) on the Richard Rodgers Theatre stage. Take in Leslie Odom Jr. and his castmates from all angles as they bring powerhouse vocals to the a cappella rendition. Keep an eye upstage for some particularly expressive conducting from Alex Lacamoire. Catch them and more of Broadway’s best perform at the Tonys on June 12.